Alternately: A very short span of time. Alternately, incredible speed of motion. “Lightning-flash and sparks (struck from a stone),” as examples of things that happen quickly. Notes: The parts can also be given in reverse order, 石火電光 (sekka-denkou). Apparently some people write sekka as 石下 (stone – down), but this loses the meaning of sparks and is an error. 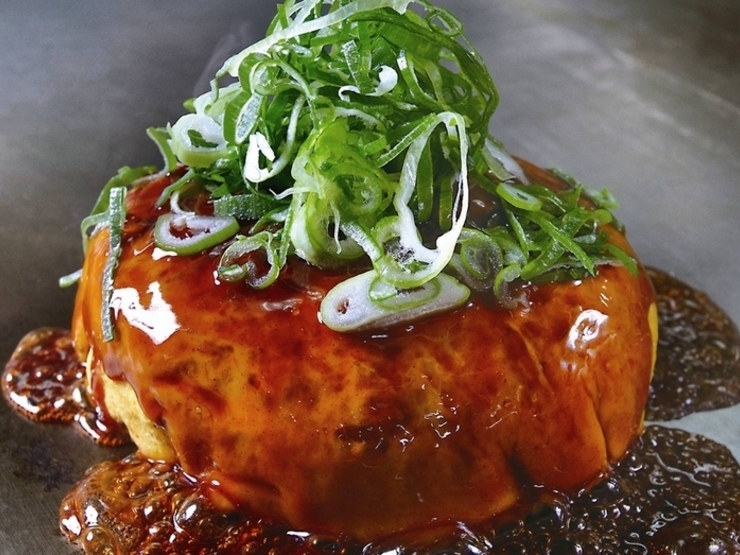 So all the top results of the image search were for this oddly hamburger-shaped okonomiyaki. I’m sure there’s a perfectly reasonable explanation somewhere. This entry was posted in Japanese, Yojijukugo and tagged 石火, 電光, lightning, okonomiyaki, quick, sparks, speed. Bookmark the permalink.